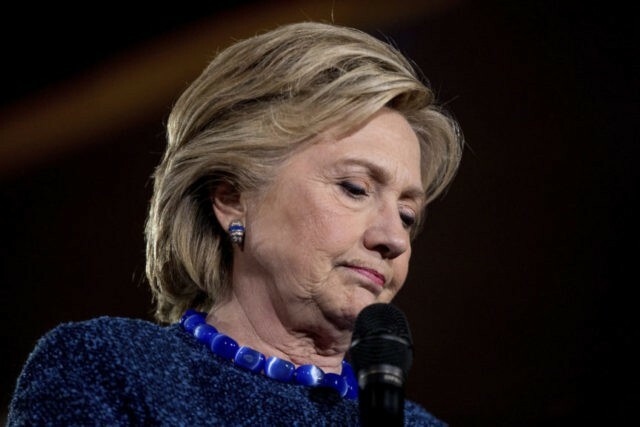 Hillary Clinton on Wednesday claimed that being a “capitalist” hurt her in the 2016 primaries because so many Democrats are socialists. “It’s hard to know, but I mean if you’re in the Iowa caucuses and 41 percent of Democrats are socialists or self-described socialists, and I’m asked ‘Are you a capitalist?’ and I say, ‘Yes, but with appropriate regulation and appropriate accountability.’ You know, that probably gets lost in the ‘Oh my gosh, she’s a capitalist!’” Clinton said during a conversation with Alan Murray, the Chief Content Officer at Time Inc.
Clinton barely defeated Sanders in the Iowa caucuses in 2016, getting 49.9% of the delegates to Sanders’ 49.6%. Sanders, before a potential 2020 run, is now pushing a program that would guarantee every American a government job that pays $15 per hour in addition to health benefits.